It’s the age of aggregation — Facebook’s trying to get into diverse sectors like e-commerce to dating, and Paytm runs everything from a movie ticket business to a mutual fund platform. There are benefits to be had by combining several services together –users who use your service for one reason usually stick around for others, and this can end up creating a nice little virtuous cycle of engagement. TalkCharge, a Gurgaon-based startup, is trying to combine several diverse services under a single platform. TalkCharge provides a slew of online recharges, including recharges for mobile phone connections, DTH services, and landline bills. It also provides bill payments services, and allows its users to pay their electricity, gas and water bills online. And it additionally offers exclusive deals to its users on a variety of e-commerce sites and products. TalkCharge even has its own wallet, in which users can receive cashbacks and discounts if they shop through its platform. It sounds like a clever plan. 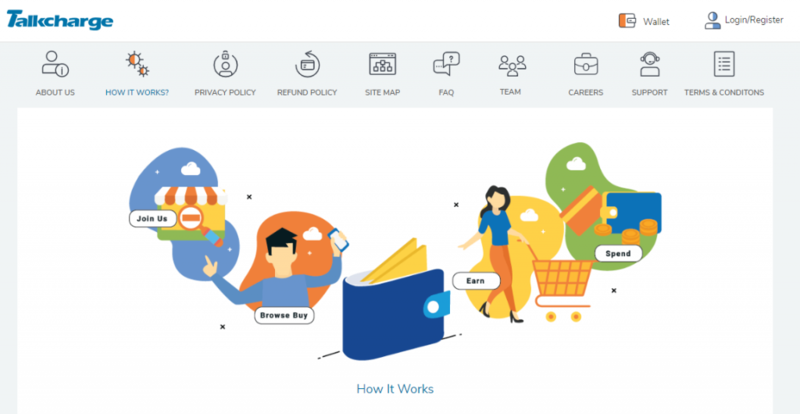 India has a host of affiliate websites which rely on large amounts of user traffic to be able to negotiate discounts with platforms like Amazon and Flipkart; there are additionally a host of wallets which allow recharges and bill payments. By combining both on one platform, TalkCharge will hope that the users who come to its site for bill payments and recharges will be drawn in by the discounts it offers on a variety of third-party services, and will eventually start using it regularly for both purposes. TalkCharge’s made some impressive progress in the short time that it’s been around. It’s already served over a million users, and is looking to expand its team of 20 into a team of 50 by 2019. Its growth thus far has been organic — the company is bootstrapped, and hasn’t raised external capital. Even so, the gamut of services it covers is comprehensive — it has offers on categories including electronics, fashion, food, grocery, health and beauty and travel, and can pay bills across the range of service providers. “We have deals and coupons from over 500 online stores,” says Katiyar. “With the offers and our TC cashbacks, we hope to attract and retain lots of new users,” he adds.